To provide national leadership for the preservation of America’s historic barns and rural heritage through education, documentation, conservation, and networking. We are a nation-wide, non-profit organization coordinating preservation efforts to save America’s Historic Barns. Our members are farmers and city dwellers, students, historical groups, timber framers, and lots of folks who just love barns. 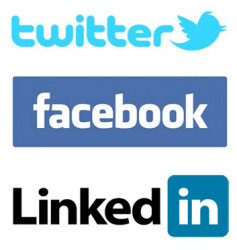 Facilitating the sharing of information on barns, their history and their maintenance by connecting members and specialists during events, conferences, and social media. 1) Document: in all cases, written and visual documentation should occur, as structures and their settings are fragile. In some cases, this may be the only recourse for a threatened barn or farmstead. 2) Preserve original character of barn; new use within historic context. 3) Preserve entire structure on new site. 4) Make most efficient use of materials through reconstruction or recycling. Join the National Barn Alliance and help protect America’s fast disappearing rural heritage! Dues are reinvested into the organization and their mission to preserve America’s rural heritage. The NBA has not paid staff members and is run by a group of dedicated volunteers. Members receive our printed, as well as our online newsletter, and invitations to our sponsored and affiliated events. The continued efforts of the National Barn Alliance to partner with institutes of higher learning has led to developments such as a joint publication with the University of Mary Washington, Historic Preservation Department. 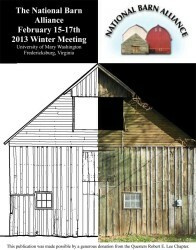 The National Barn Alliance also publishes a bi-annual newsletter known as The Barn Door. This publication is mailed solely to our membership and provides a glimpse into various barn preservation issues, workshops, conferences, and barn tours across the country as well as information on recent NBA activities. Keep up with all the latest barn news and events by receiving our newsletter and following us on social media. You’ll enjoy the articles and stories about historic barns, barn preservation, and the most recent legislation affecting our historic rural heritage.